From family vacations to backpacking trips, Edinburgh is a popular destination for solo and group travellers. If you are looking to visit Scotland’s capital city, the web offers a hassle-free way of booking your accommodation. One of your best options is luxury apartments, and just like hotels, you can book one online. Self-catering apartments let you have a home away from home and enjoy the convenience of having a full kitchen, living area and comfortable bedrooms. Check out these tips for fuss-free apartment hunting. So many third party rental sites can be found online, but nothing beats transacting directly with the company that owns and manages the apartment. This way, you’ll get accurate information about the accommodation and enjoy a more personalised service without paying more for the cost of an intermediary. In addition, some unverified third party sites simply collect information from apartment owners offering their property for rent. If you’re in the city for a holiday, book an apartment close to attractions. 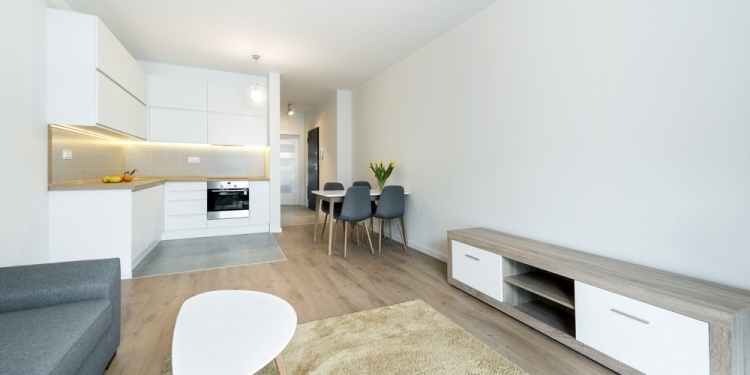 Edinburgh apartments offer various accommodation options that will surely fit your needs, but check the location and know how long it will take you to go to scenic spots, markets or grocery shopping. Look up the apartment’s map because location is very important when travelling. Do not be misled by promotional descriptions that say George Street or New Town is within easy access. This might mean a 20-minute bus ride away instead of a 15-minute walk. Reviews are helpful, but make sure to read the real ones. Check the most recent ones to get the latest information about the amenities and services. Maybe pros and cons or “terrible” and “poor” reviews from TripAdvisor or other third party sites can help. Sometimes, travellers tend to overlook small details and end up being surprised when they get to their destination. It doesn’t hurt to call the company and ask if they allow smoking and pets in the property, or if they charge additional fees for wireless Internet. Things like these and more are worth knowing if you want a stress-free holiday. Booking rental apartments online is very convenient but is not without issues. You can avoid problems by being cautious and attentive to details. The web offers numerous options in terms of booking luxury apartments, so if you cannot find what you are looking for in one place, you can always go search for it somewhere else. You’ll surely find the apartment that best suits your needs and budget, so it is worth spending some time doing your research. Getting the best combination of quality and price can definitely make a huge impact on your enjoyment.